The firm also promoted a three-strong, all-female round in 2016. 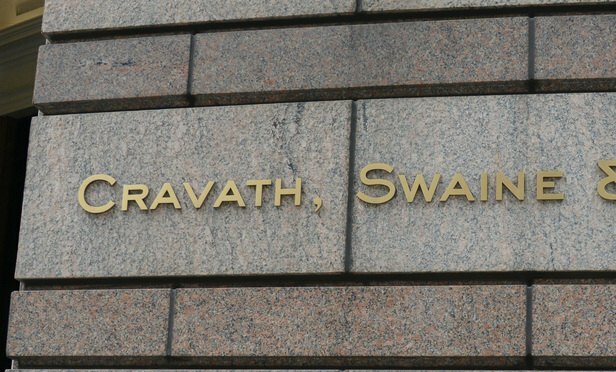 Cravath Swaine & Moore has announced an all-female partner promotion round, composed of three in New York. The newly appointed partners are litigation lawyer Lauren Kennedy, who focuses on general commercial litigation matters, and corporate lawyers Sasha Rosenthal-Larrea and Allison Wein, who concentrate on capital markets and M&A work, respectively. The promotions will take effect at the beginning of 2019. The firm has promoted half the amount of lawyers it promoted last year, when its group of six new partners included two women. In 2016 the firm also announced an all-female promotion round, with three new partners. In January 2017, Faiza Saeed became the first female presiding partner of the firm. Cravath joins other firms that have announced female-heavy rounds in recent years. In 2017 Travers Smith promoted four lawyers, all of whom were women, while three out of four associates promoted to partner by Slaughter and May this year were women. Latham & Watkins recently promoted 31 partners, including nine in London, and Cleary Gottlieb Steen & Hamilton promoted eight partners across their offices worldwide. Kirkland & Ellis and White & Case also promoted bumper rounds of partners this year, with Kirkland making up 10 partners in their London office and 122 globally. White & Case, meanwhile, promoted 13 London associates to partner out of a 41-strong global round. Cravath grabbed headlines earlier this year when it surpassed rival Milbank Tweed Hadley & McCloy’s rates for associate pay, setting the pace for a number of firms to increase pay for their associates.